Desert Woodcrafters are carving out their niche! 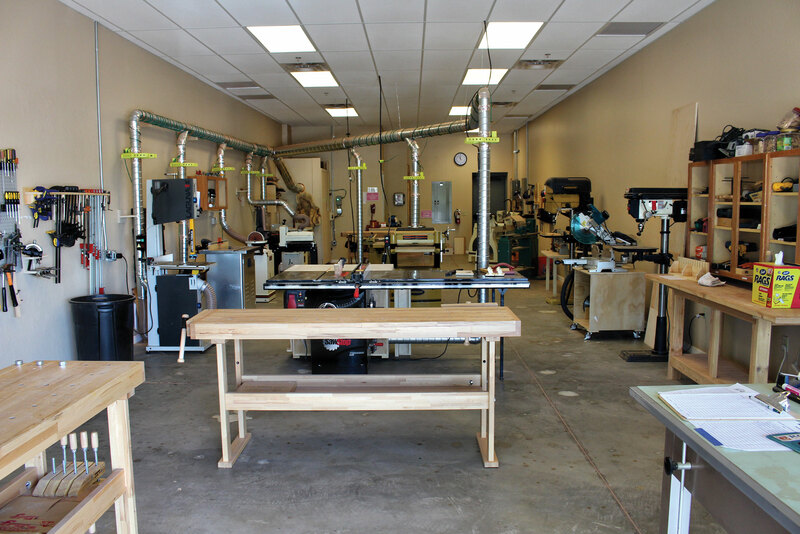 In just the first six months of operation, the popularity of the new wood shop is apparent with 68 members and with the many projects that have been worked on and completed. 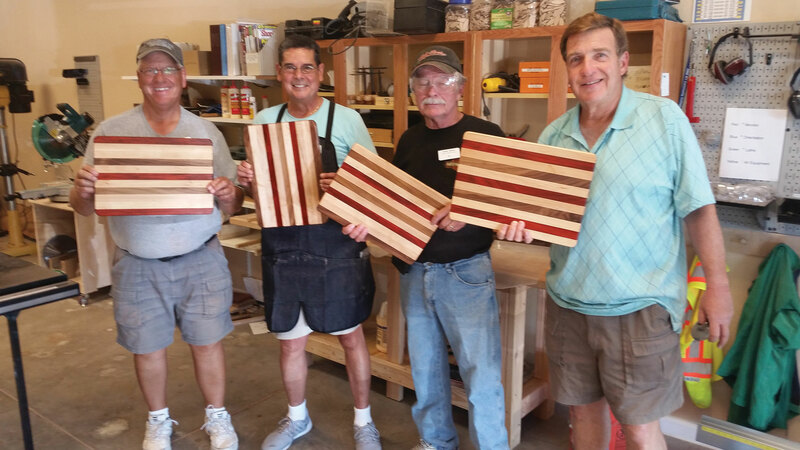 Some members come to the wood shop with an extensive background in woodworking, producing works of art, cabinets and fine furniture. Others have joined the club to learn. All enjoy the opportunity to meet new friends plus learn from available classes and each other. During these first months of operation the club dealt with all the challenges of a “startup.” There was the challenge of electing a board, organizing, setting up, aligning 20 pieces of major equipment plus building cabinets and hanging pegboard for over 100 hand tools. The state-of-the-art dust collection system that provides a cleaner, healthier environment took over 100+ hours of volunteer labor to install. Many crafts have been produced including bowls, cribbage boards and cutting boards. In addition members have volunteered and built several sheds, storage carts, an herb garden stand for the Robson Grill, cup holders for pickleball and even a seven-foot cross for the new church. Usage has slowed during the summer months, but the shop remains open with the expectation of a substantial increase in usage as many return for the winter. This fall club members will have the opportunity to attend more demonstrations and classes. We appreciate all the financial and general support that has come from Mr. Robson, Betty Murphy and the members plus all the people that donated so many tools. More detailed information on the wood shop can be found on the website: http://rraz.us/DesertWoodcrafters/Welcome.html. If you are interested in joining the club, call any of the board: Ken Hansen 425-765-5147; Marv Enerson 520-423-2344 or Jim Price 520-836-5286. Our email address is desert.woodcrafters@gmail.com.